Bring back your i.care Box or purchase i.care Box at RM9.90 and get 50% off on House Favourite Meal! 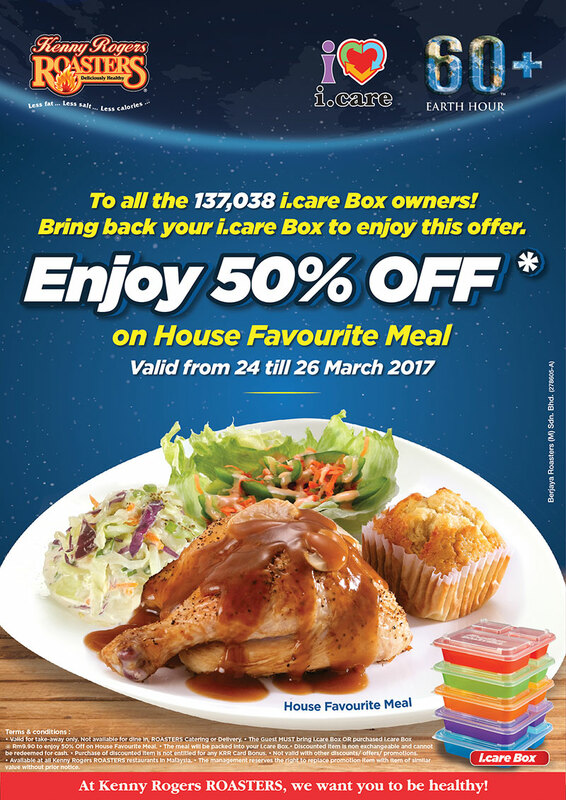 Bring i.care Box or purchase i.care Box at RM9.90 to enjoy the offer. Not available for dine-in, ROASTERS Catering or Delivery. Not valid with other discounts/offers/promotions. Available at all Kenny Rogers ROASTERS restaurants in Malaysia.